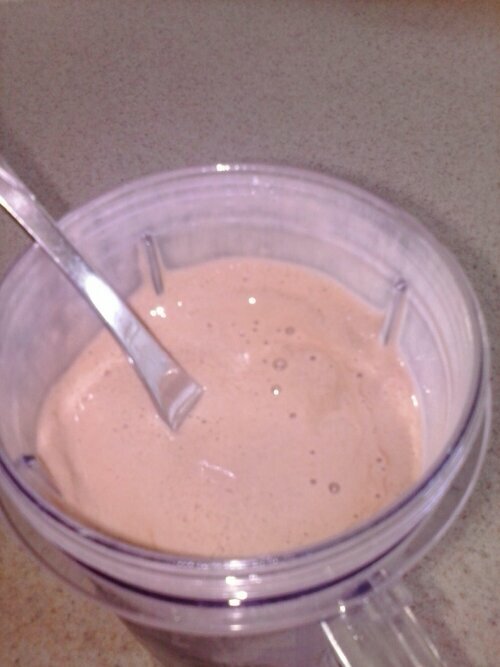 I heard that if you make a chocolate pudding into a shake that it tastes like a Wendy’s frosty. So, I had to give this one a try. Especially on a day like today where we get a rare day of sunshine in Oregon. Yum! Dump all ingredients in a blender and enjoy by spoon or straw. If its too thick add a little water a tablespoon at a time.